Located in the heart of the city centre, and a 5-minutes’ walk to Portimão? Railway Station, Next Inn offers air-conditioned rooms with a private bathroom. It features a terrace with panoramic views over Portimão and an indoor lounge area. 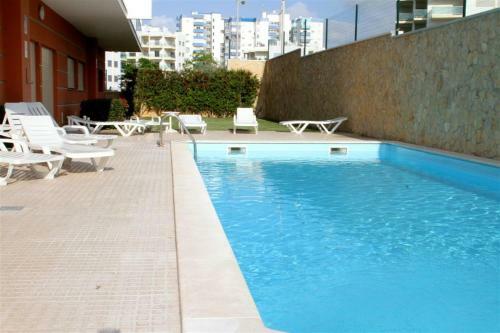 Apartamentos Mirante da Rocha are primely located in Portimão, a mere 100 metres from the popular Rocha Beach. The property is 1 km from the Portimão Marina. The apartments all feature a living area with a cable TV and sofas. 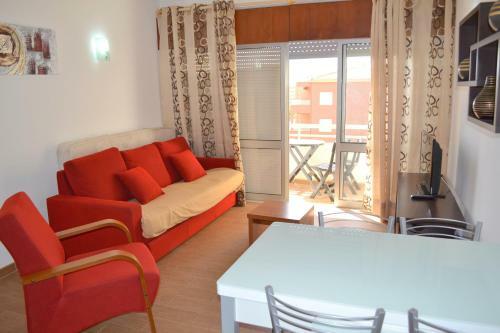 Located 800 metres from Vau Beach in Portimão, this apartment features free WiFi and a balcony. The unit is 1.3 km from Praia do Alemão. Free private parking is available on site. Located in Portimão, Apartamentos Studio 17 offers panoramic views of the city and access to an outdoor pool. The property is 1.1 km from Praia da Rocha Beach. The apartments will provide guests with a balcony or a terrace.